Arcade Belts; The Original Adventure Belt and a big hit with us here at The Board Basement. 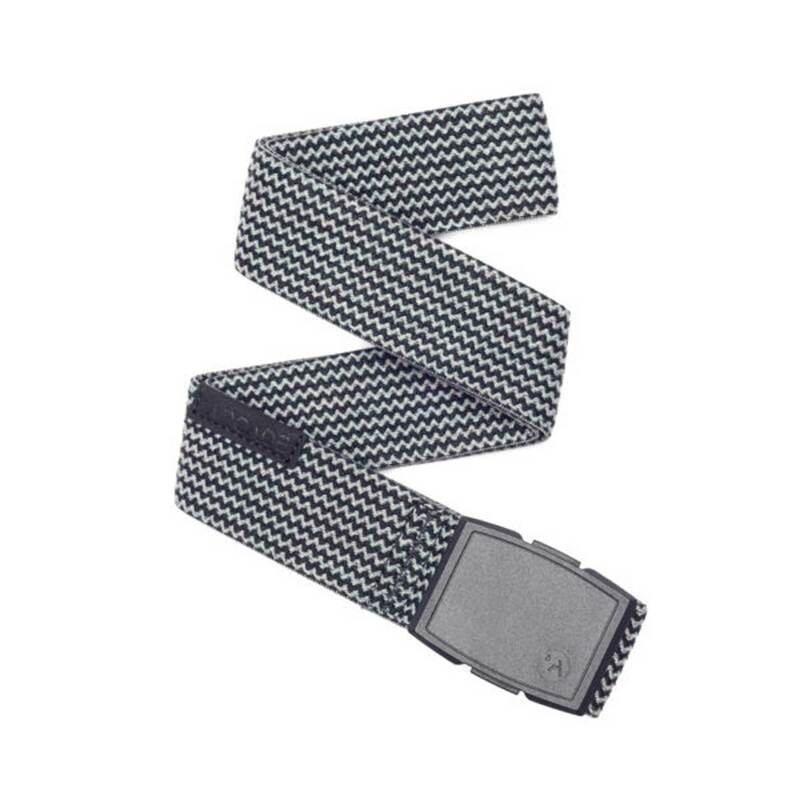 Arcade Belts are a belt manufacturer for the action sports market focusing on stretch non restrictive belt. Arcade achieve this by using an elasticated poly blend material with a plastic clip buckle with quick release tabs. The first ever belt designed for all your adventures. Built to move, to use and abuse and to be comfortable through any activity. This is the Edmond model which is a grey black zig zag pattern made up of a blend of premium wool and rubber for extra stretch. This means you can wash this belt without worrying about it getting wrecked. Along with this the belt comes with Arcades new durable Capture clip buckle which is as light as balsa wood but as strong as metal.